Intrepidly, I offer my predictions for online marketing in 2008, in no particular order. I think the words of the year will be subscriptions, mobile, and collaboration. 2008 is going to be an exciting year, and I wish all of you joy, health, prosperity and love every day in 2008. Peas on earth. 1. Subscriptions will become the revenue models for social networks. The fees will be small, but they will replace conventional advertising as a revenue model. Whaddya think? Feedback is what makes this fun. What trends do you foresee? Twitter and Skype will add subscription charges for enhanced features like groups and the two will compete for top social network status as the useless applications, intrusive advertising and annoying emails from Facebook et al increasingly turn off users. 2. Social networks will be the key driver of brand success as consumers increasingly trust each other’s opinions and distrust advertising and corporate crap. Dear CMOs and CFOs, The Cluetrain is not science fiction. 3. 2008 will be the year of collaboration and intellectual partnership, internally and externally. I predicted this too soon last year, but I still think it’s coming on strong over the next 12 months. Companies large and small will depend more on collaboration and cooperation, forming communities inside and out that will work toward goals of product and service improvements, resulting in saved time, effort, money, and brand reputation. The ones that don’t will pay in lost revenue. 4. Corporate blogging will be eclipsed by crowd sourcing applications like Dell Idea Storm. Companies including YouTube, blip.tv and newcomer Seesmic will expand and cooperate to include group collaboration and meetings. 6. Google stock will hit $1000 a share and split. The founders will cash out and the company then accused of piercing the corporate veil with creative accounting. They’ll come out on top before the end of the year, and new accounting standards will be set by the case. 7. The Internet will swing the 2008 election with its candidate of choice, who won’t be one of the ones already in the running. MoveOn.org, which already has a huge membership base, will team up with Unity08 to choose which will come out in big enough numbers to swing the election. 9. Mobile Rules – iPhones and similar devices that deliver true mobile internet access will replace laptops that everyone hates to carry no matter how light they pretend they are before you add the battery, etc..
You rock B.L.! That’s pretty impressive! Hey BL, I think these are pretty good, thank you. I definitely believe people are going to finally get the whole Cluetrain Manifesto thing (which I firmly believe in). The blogosphere, product reviews, UGC and web 2.0 in general are all helping people to make sense of the chaos and realize that markets are indeed conversations. I’m launching a new social network http://www.mymyssion.com and I hope it becomes a conduit for people to express themselves and, much like a perfect market, that it finds its own level. It is an aspirational social network. The site is live as an open beta. I agree that established social networks could well become subscription based. Maybe advertising and sponsorship is just the initial revenue source required to soften the blow for investors until such time that the social network brand is firmly established and subscriptions can be charged? If you’re marketing online and not taking chances, you’re not making the most out of your opportunities. If you market online and make claims in regard to your product, you better be able to back up those claims. The consequences of not doing so can be quite severe. Subscriptions to Twitter? Interesting – so who pays, me or my employer? Will they view this as a detraction from work, or be savvy enough to appreciate it’s actually a productivity and research booster? Vince – i would think you’d have a personal and a business account just like you would with any other service you used. Whether corporations will see the value remains to be seen. B.L. Ochman’s prediction for 2008 seems to have gone well down with the bloggers. In a sense every one should equally participate in a company’s progress to take it forward rather than depending upon a single individual. i have to disagree about the fees for social networks. if you start charging people for using a social network what’s stopping them from going to another social networking site? Facebook is nice and people are tied to it to a degree, but I’m not sure they’re tied to it enough to pay a fee when someone else could step in with a free service of similar magnitude. Social networks will be critical to brand success however and social networking sites should be able to leverage that to make money. 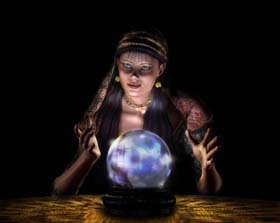 Is there any proper way predict the future in internet marketing? Till this day i came across to predict that i can success on hard work. Hi BL. Great insight. I have to agree with you on your #1. The subscription model has great potential and is already proven with some sites. In an odd sense, paying also enhances user commitment, too, which in turn enhances community quality. I definitely think folks would pony up for a better experience. On your #7, it is your prediction and it is certainly my ‘wish’; however, now that I have the luxury of 20/20 vision late in January 08, it’s looking like Moveon.org has made their choice – one of the existing candidates. Sheesh. I want to be wrong on this one. I really like your list. Thanks. Is it okay if I add one more prediction to make it an even 10? JP – sure! what is your idea for a 10th prediction? #10. OpenID becomes a brand-inside-a-brand – This dovetails your #8 prediction on Privacy…user-centric identity will be so hot that it will catalyze OpenID as a must-have service for companies who want to distinguish themselves and provide their customers with a better experience. The OpenID brand will provide both customers and companies with instant, yet lasting, benefits. WDYT? Good bold predictions. I think the mobile prediction is dead on, but most will really notice it in 2009, not 2008. Similarly, the number of folks just now even considering corporate blogging means that trend is not yet over. But crowdsourcing could/should pick up among the thought leaders. Good stuff, B.L. Thanks for sharing.